If you’re just back in the school groove and looking to buy the cheapest textbooks around, fret no further. Here’s where you should look to get some hot deals on textbooks. Half.com. eBay’s “brother” site, half.com, offers books for a pretty good discount. You can also use half.com to get good deals on other items, such as electronics. While half.com is a great place for deals, since you’re working directly with a seller, you may not actually get your book on time, so if that’s the case, borrow in the meantime. By the way, while half.com is a great site in itself, don’t forget to check eBay out because you might find the book there even cheaper! Amazon.com. If Half fails, Amazon succeeds — usually. Check the site for new and used books. You can also pay the seller for expedited shipping if you need the book immediately, but media mail is typically a good (and still fast) choice. The library. Some college libraries may let you take out the book for an extended period of time if the book is not on reserve. This is a good option, but do it quickly. There’s probably a lot of competition for the same book! Share. Share with your classmate. Obviously, this isn’t the best idea (though it might be if you have the same class at different times and therefore don’t have the same homework due at the same time. The other option would be to photocopy only the necessary pages when you’re in a time crunch. Ask your professor. Sometimes you don’t have money to the book. It happens. Don’t be afraid to approach your professor because chances are he has one or two in his office. If not, he can point you in the direction of someone who does. And that person might even be a Teaching Assistant, which is another option if the professor path doesn’t pan out. valorebooks is another good site. I would just like to add one more suggestions. You list a couple of major websites like half.com and amazon.com, but you can compare book prices across dozens of sellers at some sites. One I have been using is bookspy.net , but there are many around, just do a google search. That site is pretty simple, but it gets the job done, and usually half and amazon are not the cheapest on textbooks anyway. have you ever tried out eCampus.com for buying, renting, and selling books? I tried chegg and was having problems so I thought I would try something else out. a friend told me about them and I loved it! the prices are already cheaper and plus she gave me her code EE15007 and it saved me 5% on top of that. you should try it out!! The best place to buy cheap textbooks is Amazon.com. Buy them used on their marketplace. You will save a lot of money compared to the college bookstore. 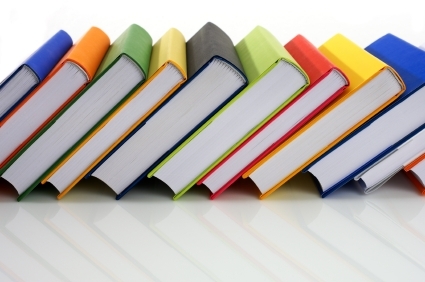 Avoid your college bookstore when it comes to textbook buyback time. Sell your textbooks online to buyback sites such as http://www.mybookcart.com. Price comparison sites are the way to go to find the best deal. You can usually find a used copy somewhere for less than it costs to rent. Google “CheapFTW” to find the best (IMO) textbook price comparison site.